Only two sets of answers were received, from Ian Wallis and Chris Davison. I hope a lot of other people had a stab at the puzzles, but perhaps felt they hadn't managed to solve enough of them to submit their answers. 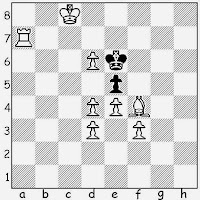 Anyway, the winner, with a score of 9 correct out of 10, is Ian Wallis, who will receive a prize of a brand new chess book, 'Sabotage the Grünfeld'. Black to play and win. 1... Rc4! 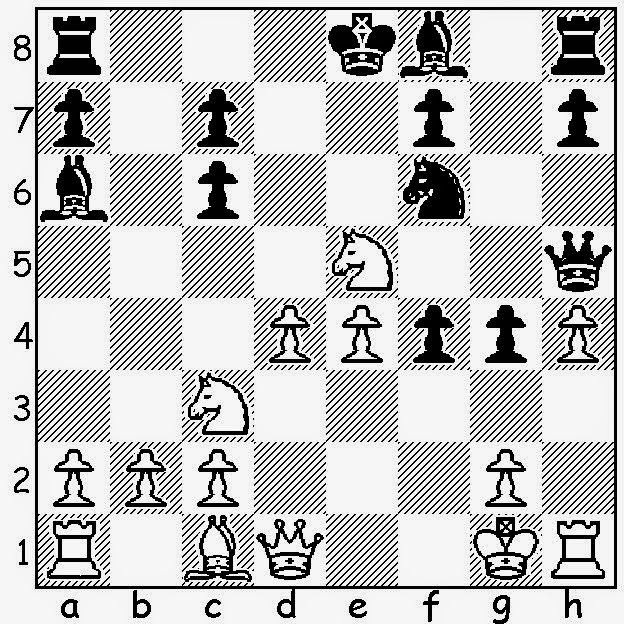 The threat is 2... Bc5, which needs to be played immediately after 2. bxc4. The required follow-up after 2. 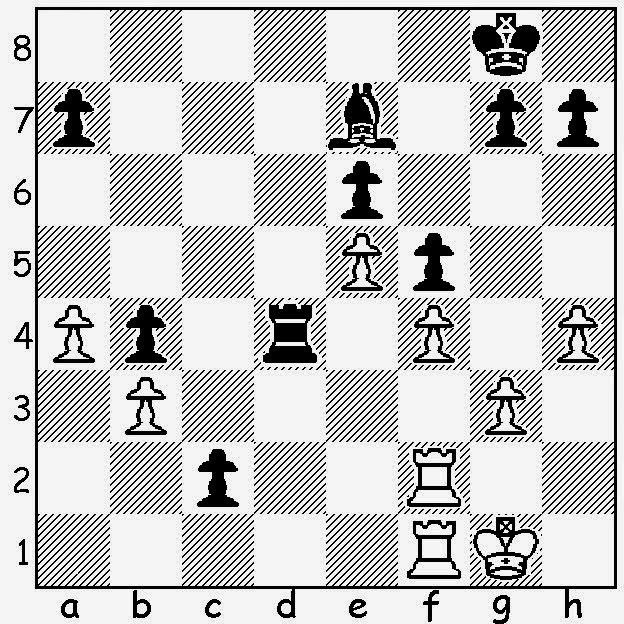 Rc1 is more complex, but with accurate play Black should still win. Black to play and force checkmate. Ian correctly pointed out that there is no forced mate! 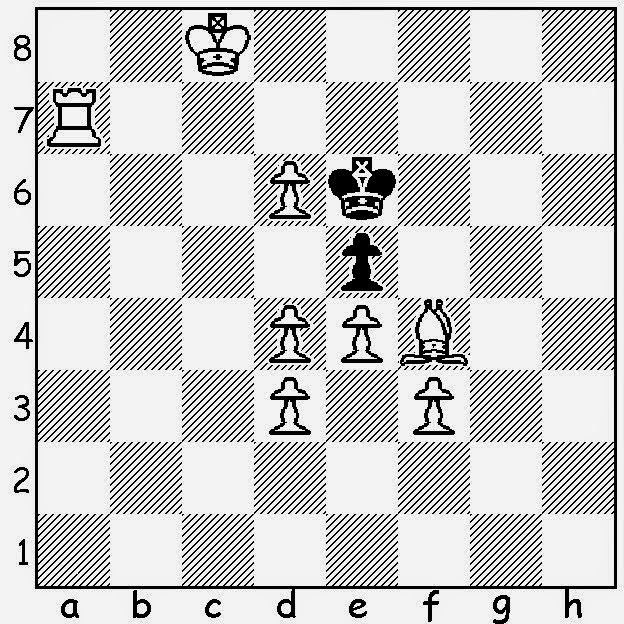 The setter of the puzzle obviously expected the re-capture of the queen after 1... Qxe5. White to play and mate in 2. 1. Ra3, with either Ra5# or Rxe3# to follow, depending on Black's only replies. White to play and mate in 5. 1. Rb1. 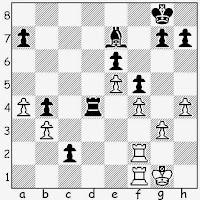 If Black replies ... Kf8, the solution is straightforward (Rb7 etc). But ... Kd8 is more complex. 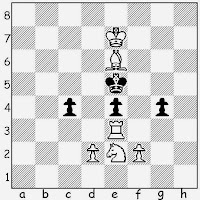 The second move is critical - 2. 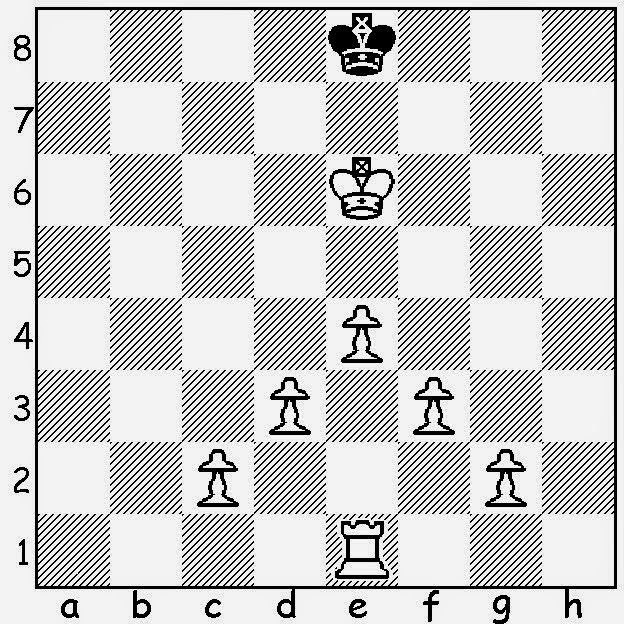 d4!, when the game might continue: 2... Kc7, 3. Ke7! Kc6, 4. Kd8 Kd6 5. Rb6#. 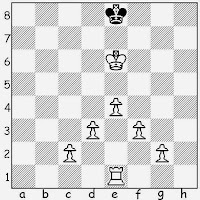 White to play and mate in 3. 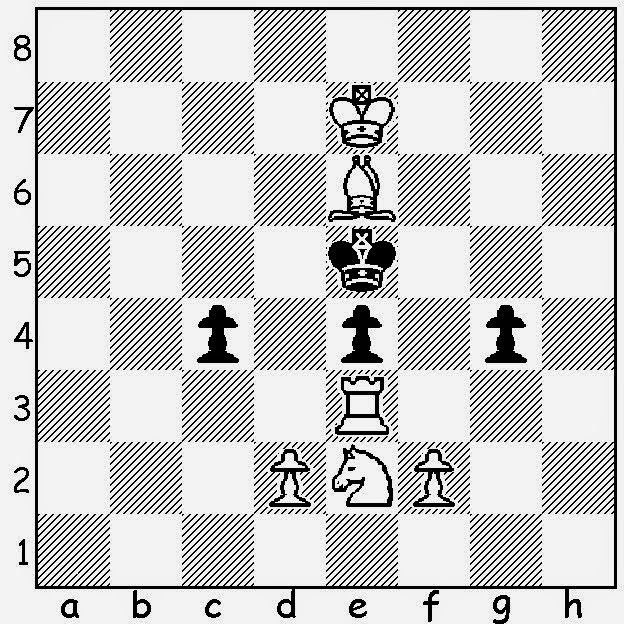 After White plays 1. d7, Black's king has six possible moves. 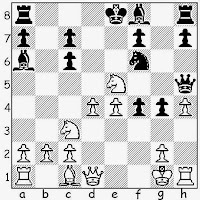 If Kf6, Ke7 or Kf7, d8Q leads to quick mates. But for the other three moves, different promotions are required. For Kd6, d8N; for exf4, d8B; and for exd4, d8R. A clever problem, with all four types of promotion being required. The answers to the remaining five problems will be given tomorrow.